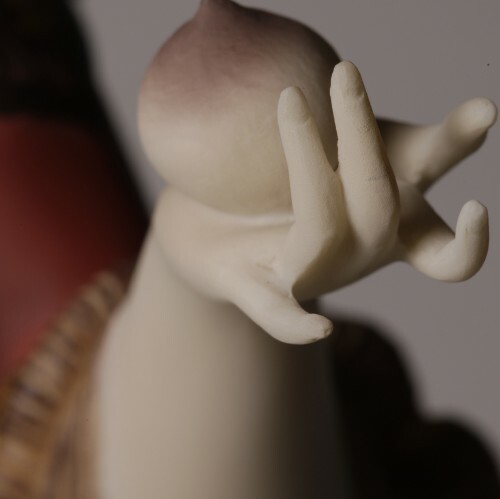 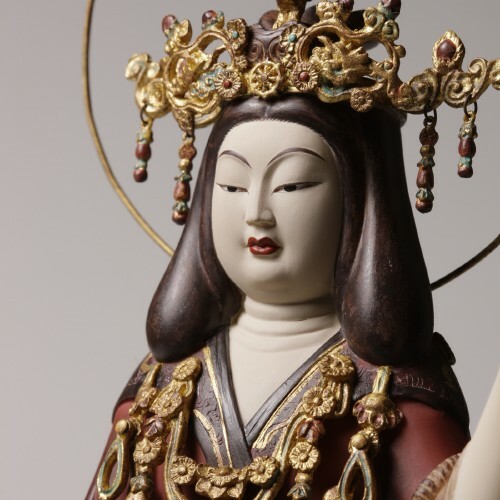 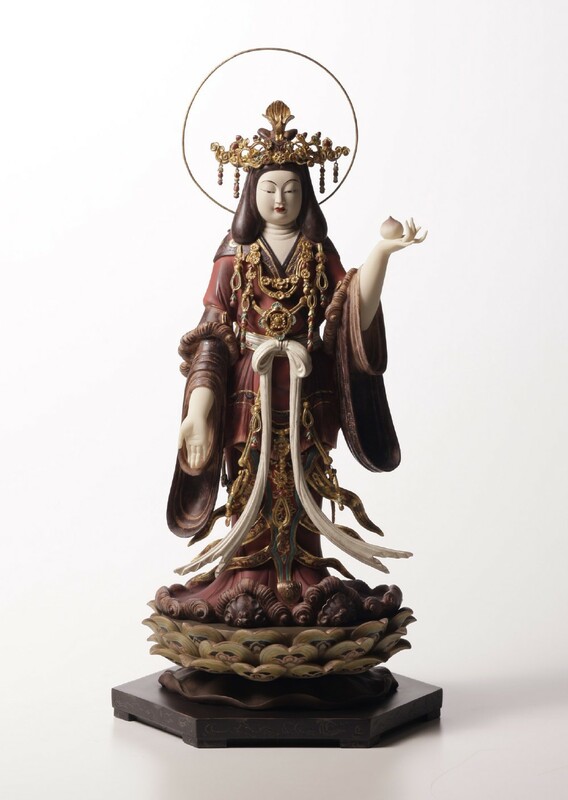 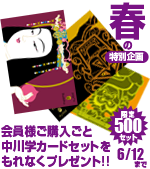 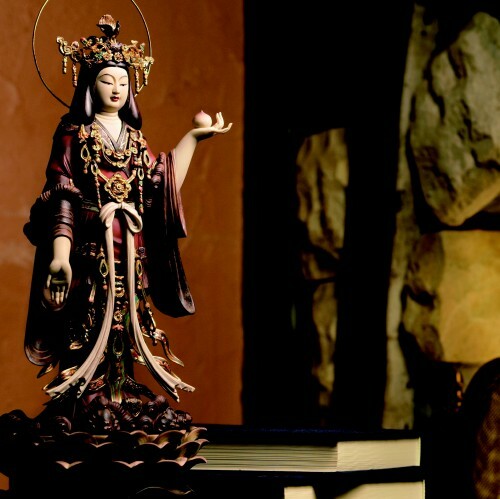 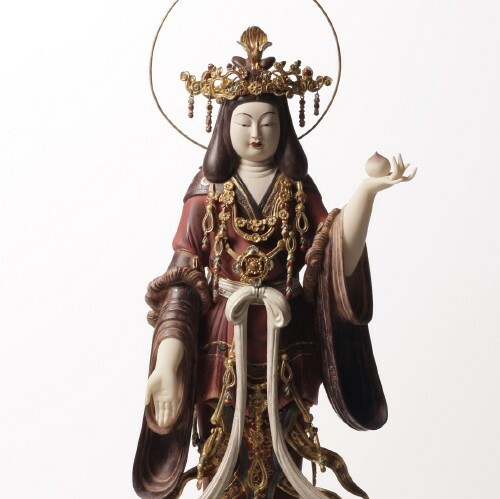 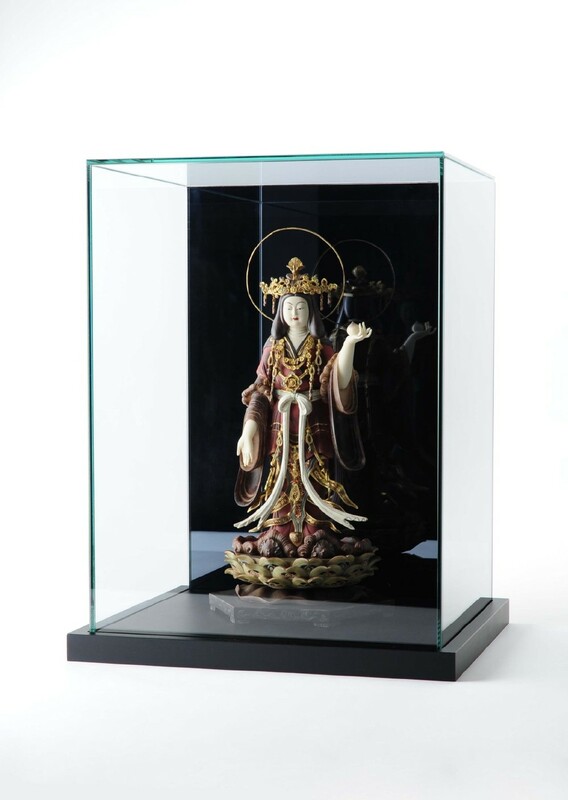 Kissyo-ten holds a wish-fulfilling jewel called the Nyoi-hoju (Cintamani) on her left hand, and she is considered to be the goddess of beauty, wealth, and happiness. 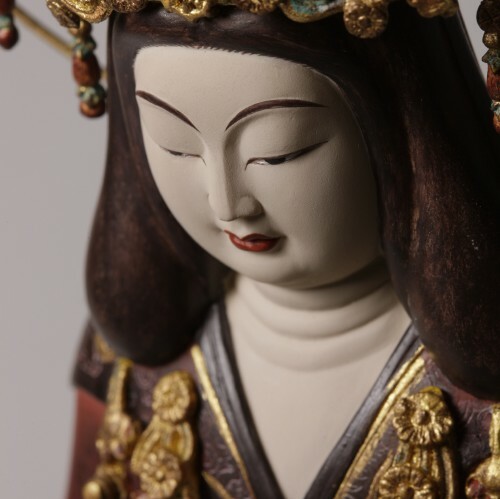 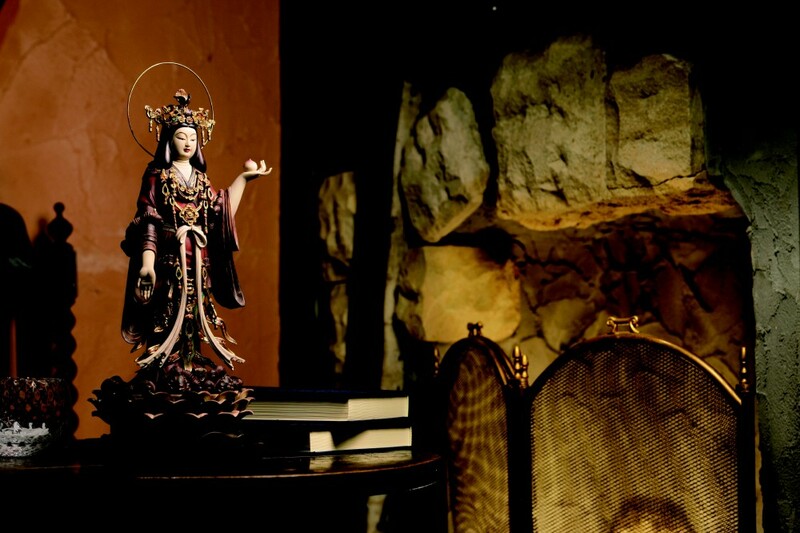 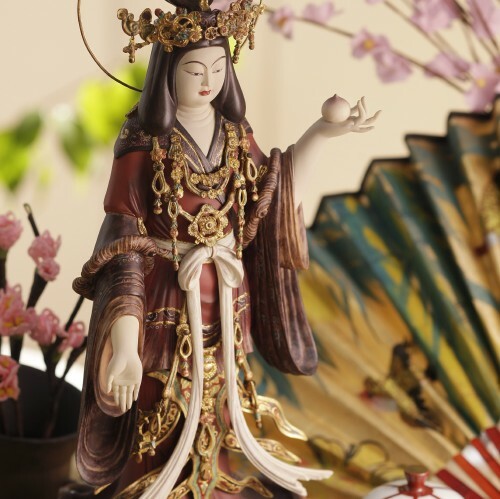 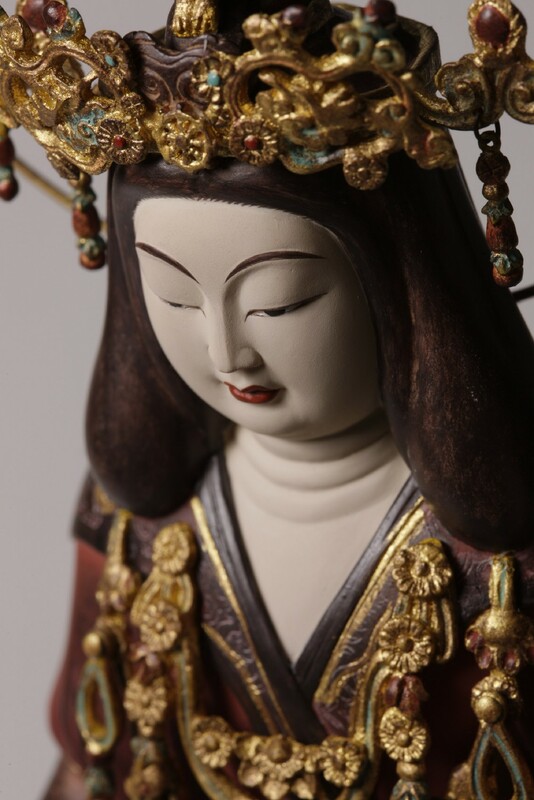 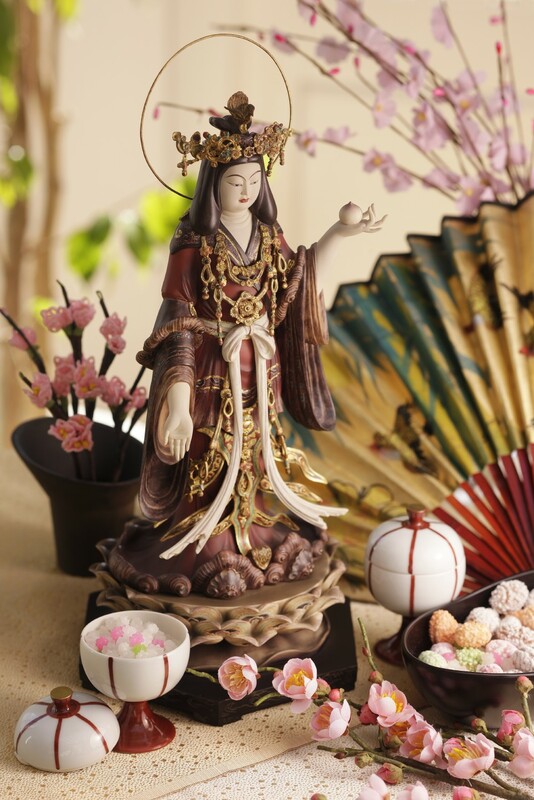 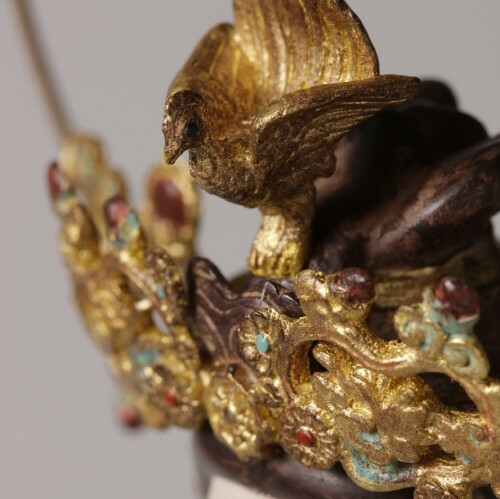 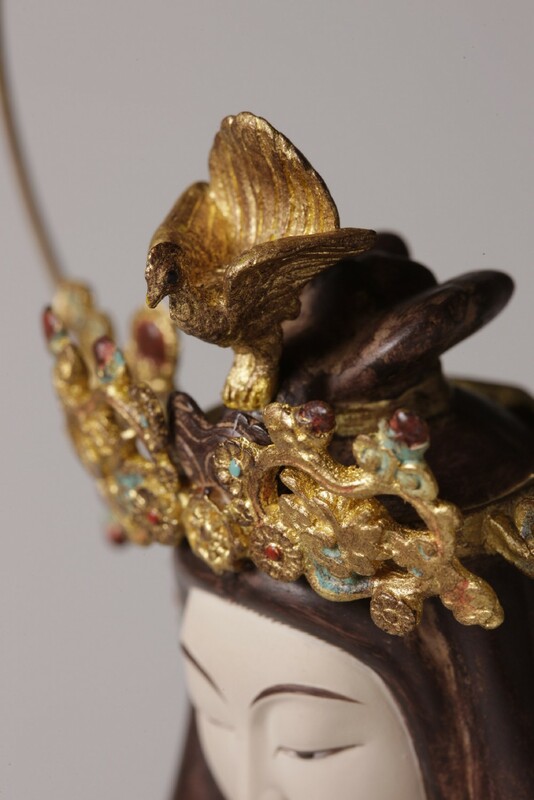 This wife of Bisyamon-ten (Vaisravana) is often represented as a lady from the Tang Dynasty. 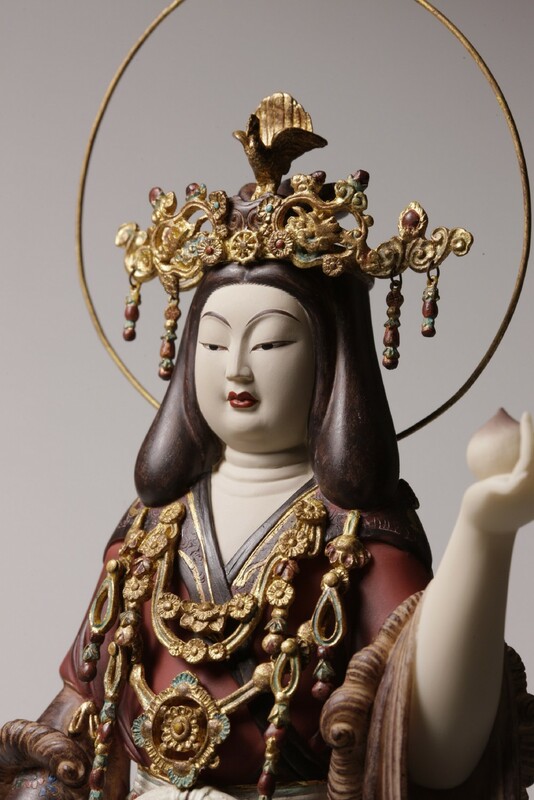 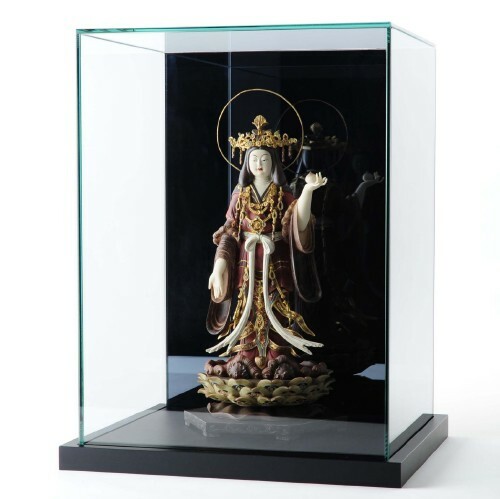 Although this statue was created in 1212, the coloring remains vibrant to this day, mainly because it has been kept hidden from view and rarely exposed to light.